The General Director for the Ministry of Culture, Dr Fernando Alçada, created two new Portuguese orchestras in 1989, starting with Porto followed later by Lisbon, to take the place of the two old RTP radio orchestras. Auditions were open worldwide and the original RTP players were not excluded from them. The result was an orchestra of about 50 musicians of extremely high standard with a mixture of 33 nationalities. Mark was invited to become Associate Conductor in early October 1989. Their first concerts took place in Lisbon in early November. Mark conducted their first concert in Porto on 25th November followed by Braga on the 26th. The violin soloist was Ferdinand Sonnleitner (leader of the BRSO, Munich). Mark’s later concerts with them were not confined to the area of Porto but also further afield, where no-one had had a chance to hear a concert before. The venues also included schools to widen musical experience to younger generations. The repertoire also gave Mark practical knowledge of a good number of Portuguese composers, whose music deserved to be heard by wider audiences (Bomtempo, Freitas Branco, Sousa Carvalho and many more). Felix Kok led the orchestra for a number of years, including performing ‘Lark Ascending’ with Mark conducting. Other soloists included Ida Haendel and Luciano Pavarotti (who brought his own conductor and entourage with him for a major concert at the Coliseum in Lisbon). 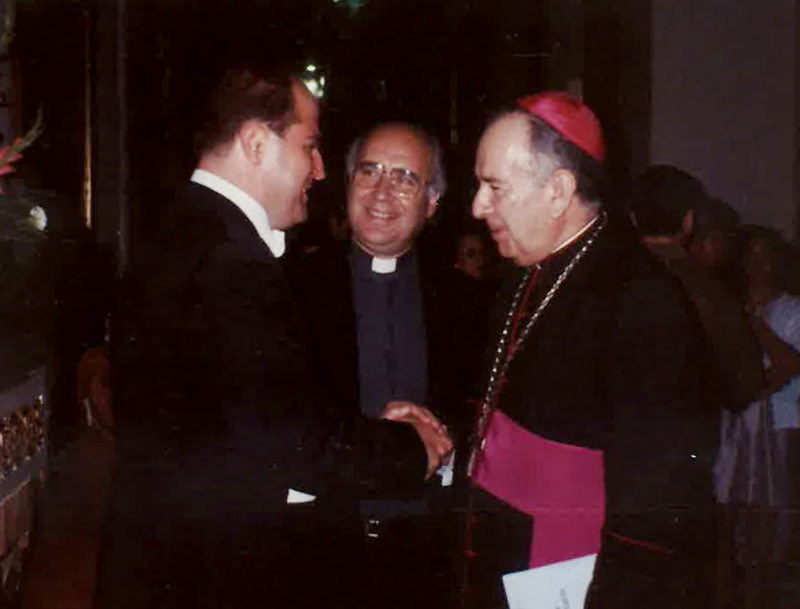 At the invitation of Padre Perreira dos Santos, one of Mark’s greatest achievements was to conduct an Easter performance of Bach’s ‘St John’s Passion’ for the Bishop of Porto with the Cathedral choir who sang it in German perfectly. During this time in Porto Mark was also invited on several occasion to be Musical Assistant at the Theatro Nacional de São Carlos, Lisbon. The operas included ‘Un Ballo in Maschera’ (with Nancy Gustavson and Firrenzo Cossotto), ‘Lohengrin’ (with Waltraud Meier) and ‘Die Fledermaus’ in which the singers performed in their own native language, at least six, to confirm Portugal’s unity with the EEC.